A psychological thriller with the most unreliable narrator - see why Jessica and I loved Exquisite! Big thank you to Orenda Books for our copies in return for our honest reviews. You know those books that are so crazy and thrilling that you can't give away details without giving way all of the twists? 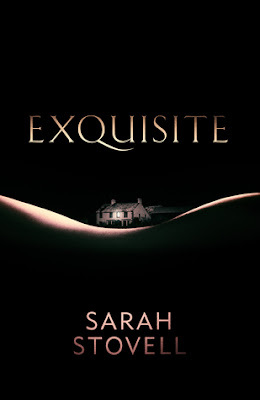 Well, EXQUISITE by Sarah Stovell is one of those great psychological thrillers. Bo Luxton is a best selling author with an adoring husband and two daughters. Bo hosts retreats for up and coming writers - so she can help mentor them. One of these writers is Alice Dark, an aspiring writer with a less than ideal life. Bo and Alice have instant chemistry and continue to stay in touch after the retreat has ended. A terrifying relationship begins. This is where I can't really continue to reveal more of the plot without giving away any important events and twists. This book is all about the sinister sides of love - obsession and manipulation - throughout the progression of Bo and Alice's relationship. I loved Stovell's writing. This book was very tense to read, I didn't want to put it down. This book didn't have one huge shocking twist at the end like a lot of thrillers do, but it does keep you guessing the entire time. 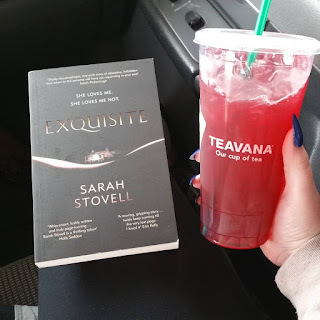 Stovell had me doubting myself and the characters the entire time! 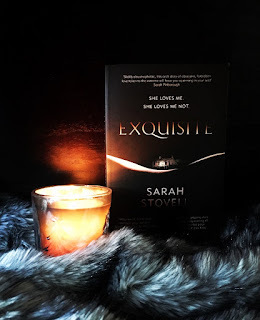 If you like thrillers with an unreliable narrator and want to be constantly questioning the characters and even yourself, then this is the one for you! Overall, I loved Stovell's writing style! The alternating perspectives between Bo and Alice were great and both women were incredibly well-developed.